4 Must Dos For Summertime Success! When the schoolbooks close for the year and the heat turns up, we can officially welcome in summertime! And I have to say, every year that passes, I get more and more excited to enjoy, learn, and grow with my family of 4 during the summer vacation. But the break from school shouldn’t be about wasting away on the couch, falling into bad habits, and simply passing the hot, sticky days! This summer, let’s set a few goals to tackle and achieve, and make it not only the best vacation for our kids, but our family as a whole. With my 4 must dos for summertime success, this will be a laid back, fun and stress-free break for the books! No excuses here More Moms! Especially in a day and age when our youngest tends to be more advanced at technology than we are, there are no excuses for a child over the age of 4 that isn’t helping with the household chores! The summertime is the PERFECT time to introduce new chores or tasks to our kids, since they aren’t already overloaded with school activities, events, and homework. By getting our kids in the habit of helping out, we are raising our children to have an impressive work ethic–and nothing could be more important! To stay on task, consider using a basic chore chart or the good ol’ “Carrot and the Stick” deal. While I try not to reward our kids with materialistic things (too often), I do suggest a trip to get yogurt could be in the future–if “X” is done. And “X” can look like anything for you! From vacuuming to cleaning the bathroom or taking out the trash, every child in our households can be responsible for something. 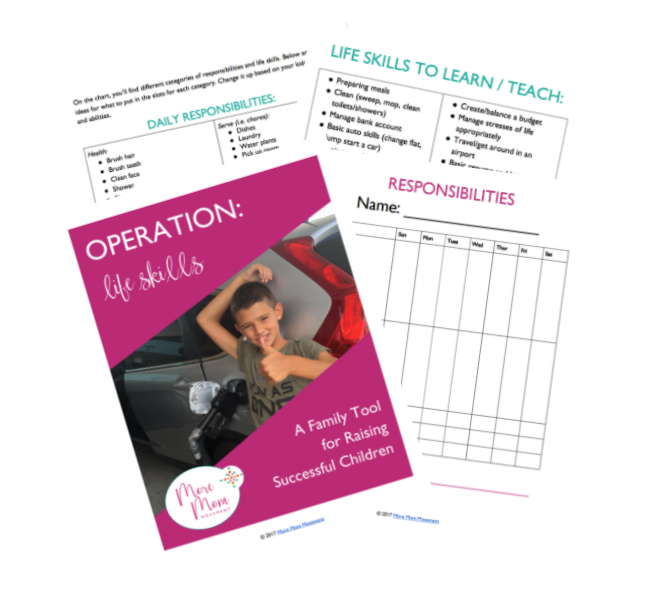 Want my FREE “Operation Life Skills” download, full of tips and a chart to use for keeping your kids on track? Just enter your info below! Welcome to More Mom! Check your email for your free gift! Don’t forget to verbally praise your children as well. More times than not, there’s no better feeling for a child than hearing “I’m proud of you” from their mama or dad! OH, how fundamentally important it is to keep up this habit from the school year! Not only to retain the skills they have learned throughout the year, but to continue to grow with each passing day–and every new book! But most importantly, lead… or read… by example! Let your kids see you doing the same things that are being asked of them. Get creative and choose themed books with correlating themed rewards; a trip to a pirate-themed mini-golf course would be a great reward for finishing a book about old Blackbeard, don’t you think? If you need more inspiration… check out Lu & Bean Read for great books for children of all ages, podcasts with the authors and even a journal to keep the summer reading on track! I know that a lot of moms mark the “BACK TO SCHOOL” date with bold letters, fresh ink and a few pointing arrows for good measure on their calendars. But this time, I’m talking about a different kind of date to set! We don’t want the whole summer to be about squeaky-clean bathrooms and bookworms in the making, so take some time to turn up the fun! Maybe it’s a family date on the weekend, or individual dates with your kids to focus on their personal hobbies or favorite sweet treats! I know that while my daughter would love a park date… my son, eh, not so much! There are so many options in the summertime to really take advantage of all of the “extra” time together! And let’s not make this difficult–it doesn’t have to be an every week or scheduled thing. The simplicity of it is saying on a random Tuesday night, “Hey kiddo, thanks for the help in the bathroom… how about tomorrow, you and I hit the Melting Pot for a delicious and gooey bowl of chocolate fondue!” <<---- That right there sounds amazing for both of us! 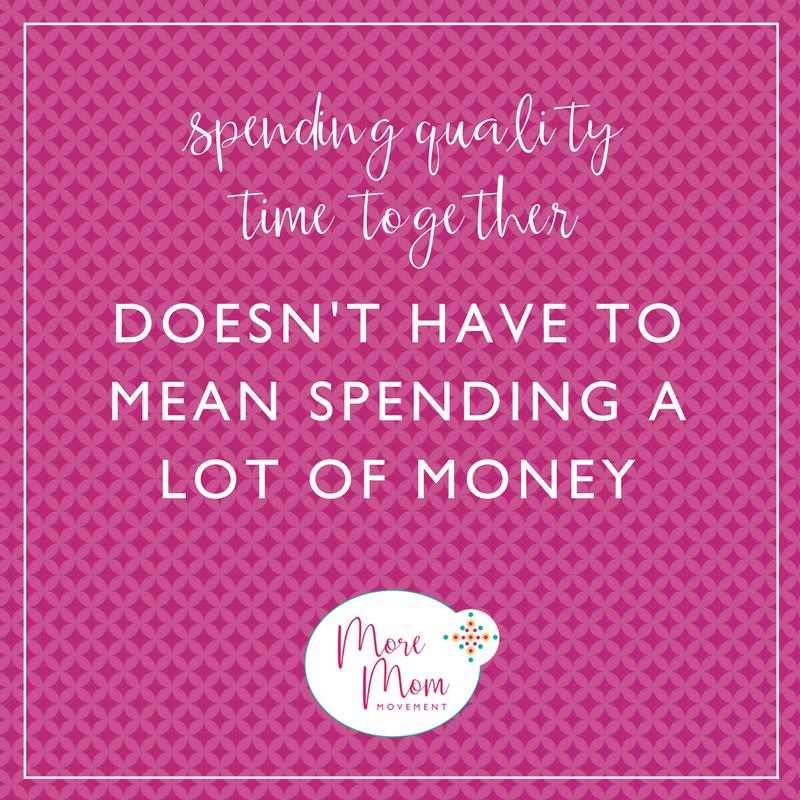 But remember, spending time doesn’t need to mean spending a lot of money! Free time spent together is worth just as much in the long run. Think about outdoor activities, arts and crafts and baking with things you already have in the house. Or, if spending a bit of cash is in the budget, but you still enjoy a good bargain (who doesn’t?!) check out Groupon for things like bowling passes, cooking schools or fun warehouses. No, I don’t have an affiliation with Groupon… but with as many deals as I find, I should probably buy stock in them! OK, so maybe you don’t have to be breaking a full out sweat, but still exercising… or just moving those bods of ours… as a family is a great thing to do! Try to get outdoors to hike on the weekends (hello date material!) or after dinner for a simple stroll, if you can. By teaching your kids that exercising is not only fun, but also beneficial and therapeutic, you are well on your way to raising kids that will appreciate taking care of their bodies and minds. And most importantly, from the family perspective, it’s about being together in what I call “God’s Space”- away from our screens and together with the people we love the most… it really doesn’t get any better than that! At the end of the day, it’s so incredibly important for us to be solid role models for our children, teaching them through example: responsibility, activity, good ol’ fashioned fun and continued learning and growth. 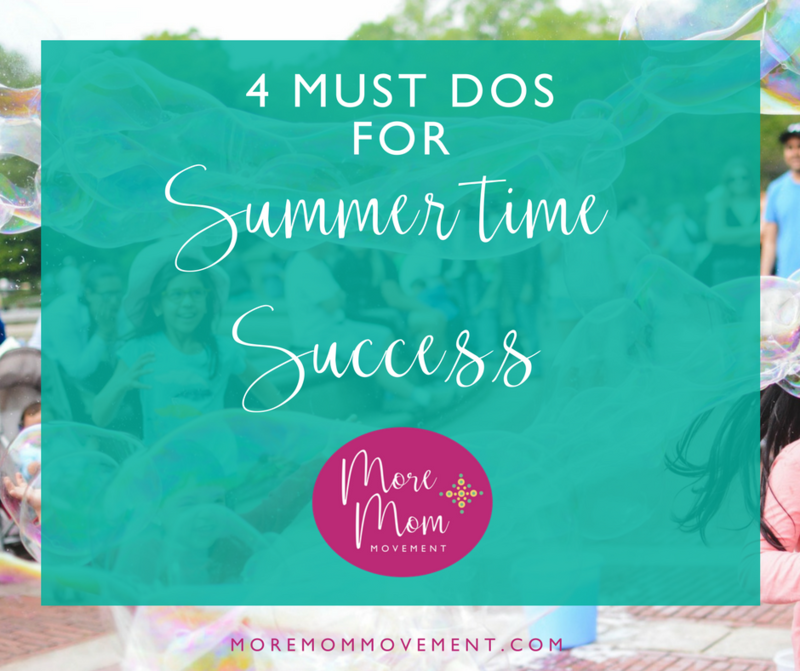 If nothing else, the summer is a time to be together, and with these 4 must do tips, I foresee summertime success and plenty of memories in all of our futures! 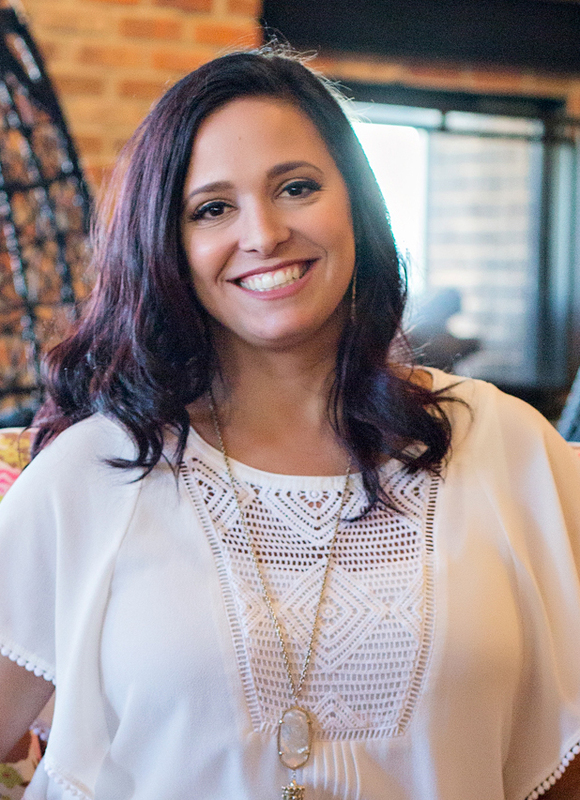 Want to join a group of moms who are committed to being More Moms? Join us in our Facebook Community! Want to raise successful kids? You Need: Operation Life Skills! This Family Responsibilities & Life Skills Guide will help you keep your kids (and whole family) on track with their daily and weekly responsibilities, be intentional about teaching life skills & more!